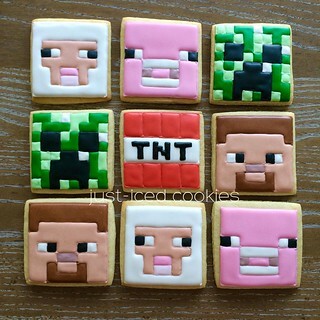 My nephew wanted Minecraft cookies for his birthday party. These were so fun to make! To order, contact me at just.iced@yahoo.com. They are also available at my Etsy Shop.